Is your marriage on its last leg? Are you or your spouse considering filing for divorce? 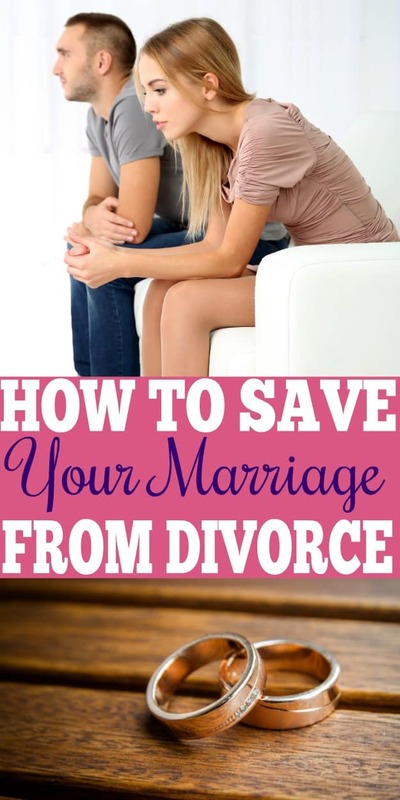 I’m going to give you some tips on how to save your marriage from divorce. Divorce might seem like the easy option right now but divorce is often the hardest thing you will ever do! Now, for some couples, divorce might be the only option. If you are in an emotionally or physically abusive relationship, get out! I will never tell a woman or a man for that matter, that they should stay. However, if your marriage is not physically or emotionally abusive then I do believe you owe it to your marriage to at least try and save it. You owe it to yourself, your spouse and your children. 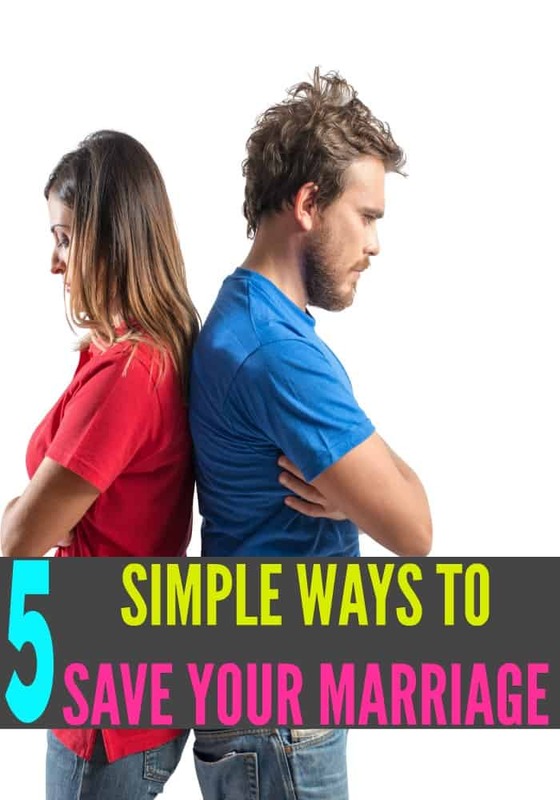 If you feel like you’ve done all you can to save your marriage then it might be time to consider seeking professional help. Hiring a marriage counselor isn’t something you should be ashamed of. In fact, you should be proud that you are making such a big investment in your marriage. A marriage counselor will be able to give you tips and tools to work on your marriage that you might not have thought of. It’s nice to get help from a professional that is not emotionally invested in your marriage. Separation does not mean divorce! Sometimes you really do need that break to take a step back and really look at things. What’s working and what’s not working! I will say that if you are going to take separation period then you need to set some ground rules. This isn’t a time to seek new relationships, remember you are still married! You’ll also want to discuss how often the two of you will see each other. You want to start off slow, seeing each other once a week to start. Slowly work up to seeing each other several times a week. Don’t use this time to fight, instead, start dating each other again. Learn to love each other again! Stop and think about what the major issues are in your marriage and find a common ground. Are you fighting over money? If so, try to come to a compromise. If one is spending too much, try giving that spouse a weekly budget that he or she can do whatever they want with. There is always a way to compromise, you just have to be willing to do your part. Playing the blame game never helps anyone and it will never strengthen your marriage. Instead of pointing fingers, try taking some responsibility, even if it’s not 100% your fault. If your spouse is upset about the lack of intimacy, stop making excuses. Don’t blame it on being tired, being busy with the kids or anything else. Take some of the responsibility and work to make it better. And for the love of God, give each other some grace! I’m not perfect, you are not perfect and your spouse is not perfect, so don’t nit-pick over everything! Sometimes we just have to forgive and forget. It’s often easier said than done but once you can get to the point of forgiveness you’ll be amazed at the weight that lifts off of your marriage. That dark cloud won’t be hanging over your marriage. If you are trying to figure out how to save your marriage from divorce, forgiveness is an easy way to do that! What have you done to stop your marriage from ending in divorce? Let us know in the comments!